I will admit there were days I had to go back and fill in after the fact, but I won’t remember that in a couple months! I probably won’t remember anything in a couple months, I’ll be a zombie mommy with sleep deprivation and a newborn! All the more reason to write things down now, right? 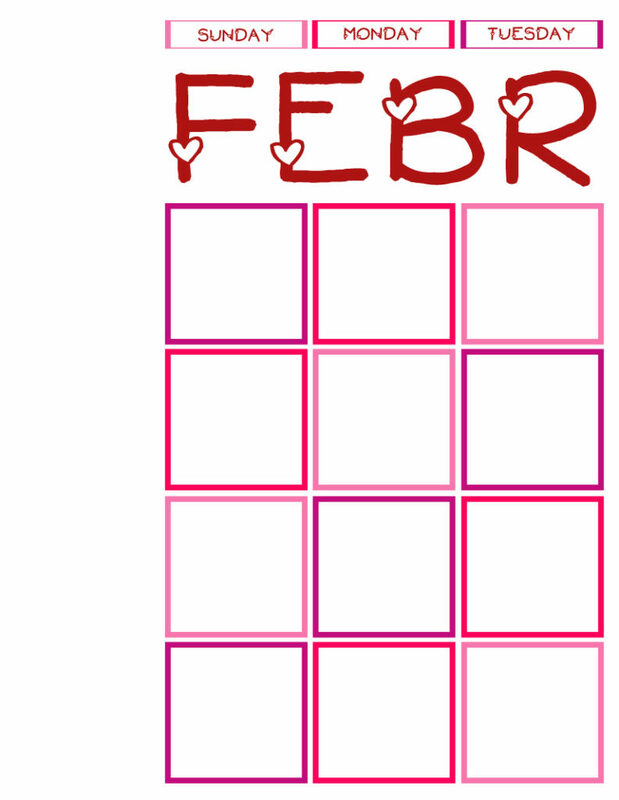 Here’s February’s Calendar. Choose the corresponding pages for the style you like the most and print those. These are formatted to 8×10″. Right click, “save as” and print. The whole set is still in my Etsy shop if you’d prefer a single time download for the rest of the year. Then you can get it bound or whatever. 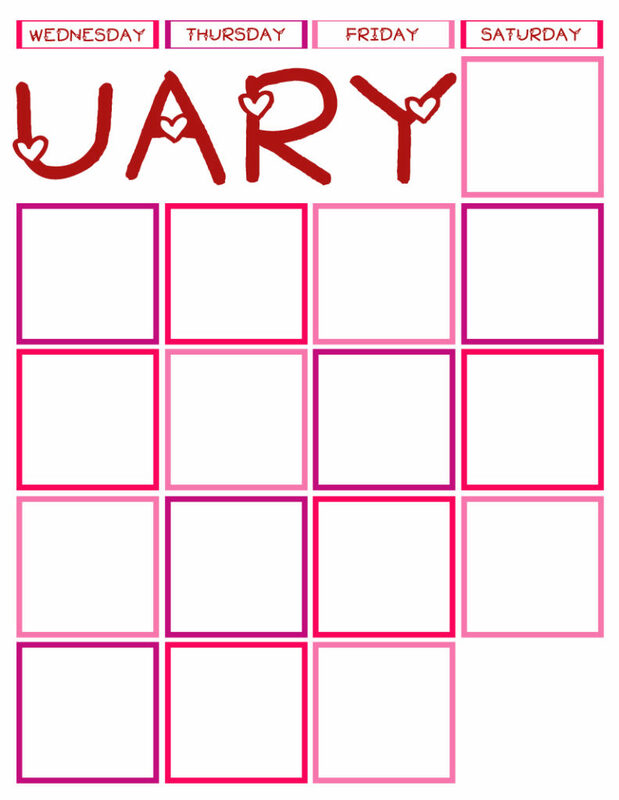 You can grab last month’s calendar here, in case you want to for whatever reason. I like this idea, it’s so pretty! 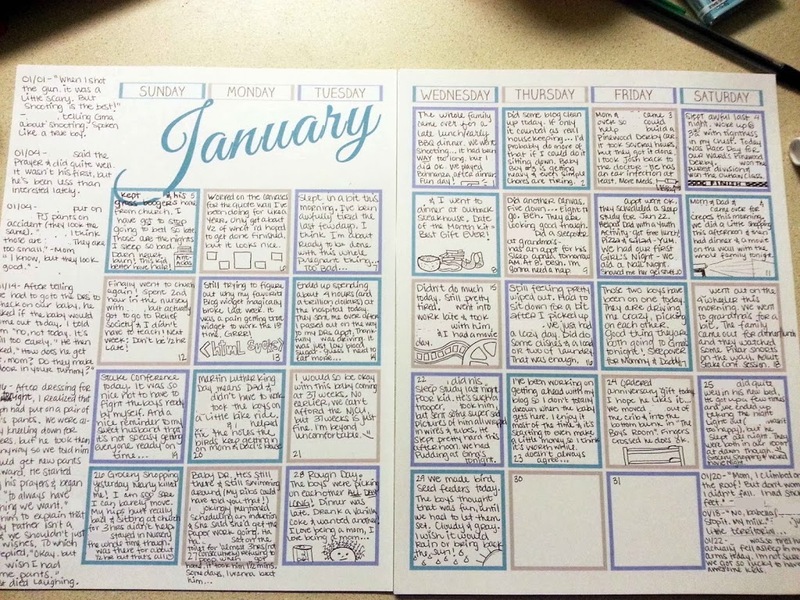 I’m doing something similar with a notebook, one page for each day of the year. I only write a few lines and each year I’ll write on each day again and again, so by the end of it I should have 4 entries for every day of the year. This way I’ll for sure go back and read everything and remember what I did exactly one year ago, two years ago, etc.